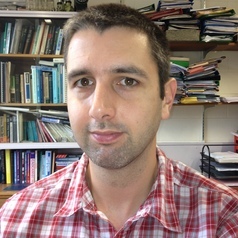 Dr Steve Davis graduated from the University of Salford with a degree in Robotic and Electronic Engineering in 1998, and an MSc in Advanced Robotics in 2000. He worked as a Research Fellow in the Centre for Robotics and Automation at Salford for eight years during which time he gained his PhD. In 2008 he moved to become a team leader in the Advanced Robotics dept. at the Italian Institute of Technology. Steve returned to Salford in 2012 as a Lecturer in Manufacturing, Automation and Robotics. Steve has authored 30+ academic papers as well as a book chapter. He also has one patent based on his research work. In 2004 Steve secured £96,000 funding to explore a new form of actuator and with Prof. Nefti-Meziani has recently been awarded the approximately £3.5m EU FP7 Marie Curie Initial Training Network. He has undertaken both academic and commercial research and his research interests include actuators, exoskeletons, rehabilitation robotics, biomimetic systems, humanoid robots, end effectors and grippers, robot hands, soft robotics and automation for the food industry.